Many Missouri family law attorneys who have been in practice since September 11, 2001 have experienced an increase in their cases involving families with Military retirement plans. In today’s blog we discuss a potential pit fall when dividing a marital interest in these plans. In the years following September 11, 2001 the United State’s Military experienced a measurable increase in the numbers of people enlisting in its various branches. Along with the increase in enlistment came an increase in the payment of military benefits, including retirement benefits and disability benefits. 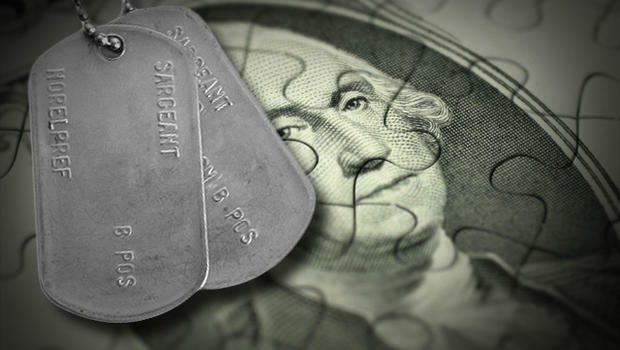 From the year 2000 to 2013 the number of military veterans receiving disability compensation from the Department of Veteran Affairs (VA) increased by nearly 55 percent and spending for those benefits almost tripled during that same period of time. With the increase in the number of veterans receiving some level of disability payment, it is incumbent on your Missouri family law attorney to be aware of the potential impact of a VA disability award on the receipt and division of military retirement benefits. In previous blogs we have discussed marital property interest in retirement assets and the Family Court’s consideration of those assets in the division of the marital estate between divorcing spouses. However, unlike retirement assets accumulated during the marriage, disability payments are generally not considered to be marital property and therefore are not divisible in Missouri. While there is a percentage of military veterans who are entitled to receive concurrent full retirement payments and full VA disability payments there is also a large percentage of retired military personnel who, while eligible for both, must choose between the receipt of all or a portion of their retirement benefit and all or a portion of their disability benefit. The difficulty for family law attorneys is that one is divisible by the family court as marital property (retirement payments) and one is not (disability payments). Further, when a military veteran is faced with this choice, there is a clear incentive to choose to receive their VA disability payments in lieu of or by waiving all or a portion of their retirement pay. That incentive is the fact that disability payments are non-taxable as income for the recipient while retirement pay is taxable as income. When a veteran elects not to receive his military retirement pay in these circumstances, the former spouse of that veteran will also not receive his or her marital interest in the military retirement plan, regardless if a marital interest in the form of future payments was awarded to them in their divorce Judgment. So, where does that leave your family law attorney when faced with a situation such as this? In a recent decision from the Western District Court of Appeals, the Court upheld a trial court’s decision to enforce a divorce consent judgment a divorcing couple entered into, in which Wife was to receive fifty percent of husband’s military pension, when the definition of “military pension” included any payment of a monthly benefit as a result of his military service which is equal to Husband’s retired pay, even if his military pension should be actually or constructively waived in any manner and for any reason, “including but not limited to any waiver made in order to qualify for Veterans Administration benefits”. While the divorce court may not have the authority to order the division of VA disability payments, the Court can enforce an agreement that said payments be included in the division of property. In this case, by effectively drafting the terms of the parties’ settlement agreement, the wife’s marital interest in husband’s pension was effectively preserved. If you have general questions about navigating complex issues of our Missouri family courts or issues involved in dividing a military pension in particular, please feel free to contact our office today for free consultation.